Although many couples may decide to have trial separations when having difficulties with their marriage, such separations are not considered legal separations under the laws of Missouri. A legal separation is for all intents and purposes very similar to a dissolution of marriage, i.e. divorce, in Missouri, with the key difference being that the couple is not claiming that their marriage is irretrievably broken. Therefore, unlike a dissolution judgment which ends the parties’ marriage, a legal separation judgment does not end the marriage of the parties. However, like a judgment of dissolution, a judgment of legal separation will make awards of maintenance, child support, child custody and divide the parties’ debts and property. In the context of Missouri family law, there are many misconceptions about what a legal separation is and when it is an appropriate remedy. Practical benefits of a legal separation, unlike a divorce, include the option to still file income taxes jointly as a couple to potentially earn the higher deduction and more benefits. Another benefit in some instances is the option to stay on the other party’s health insurance policy. If an employed party’s health insurance plan allows its members to keep his or her partner covered on its medical insurance plan after a legal separation (which is never allowed after a divorce, except through COBRA), the couple may decide it would be best to proceed with a legal separation to keep everyone covered on affordable health insurance. In addition to the aforementioned practical considerations, some couples may feel that a divorce is not appropriate in their situation for other reasons. These include circumstances when the client truly believes that the marriage can be salvaged but circumstances exist at the time that makes the current marital relationship unsustainable, such as a spouse with a substance abuse or gambling problem. In these situations, finances and property need to be separated to protect the other spouse from potential loss and liability. Further, child custody orders need to be entered to protect the minor children of the parties from any potential neglect or abuse resulting from these circumstances. Another reason that divorce may not be appropriate for certain couples is when a spouse is opposed to divorce on moral or religious grounds but needs the relief the Family Court can provide by entering orders of custody, support and property division so that the parties can maintain separate lifestyles and move forward. If the parties decide to reconcile after the legal separation judgment is entered, they would need to file a signed joint dismissal with the court to revoke the terms of the judgment. In any event, couples should also be aware that after 90 days from the entry of a decree of legal separation it can be converted into a divorce by the filing of a motion by either spouse. If you are considering a divorce or legal separation in Missouri, it is important that you seek the advice of an experienced Missouri family law attorney. 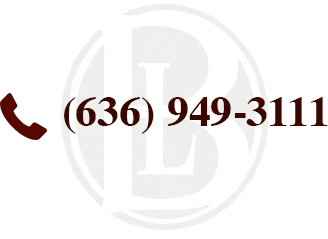 Please feel free to contact our office today for a consultation to discuss the specifics of your situation.